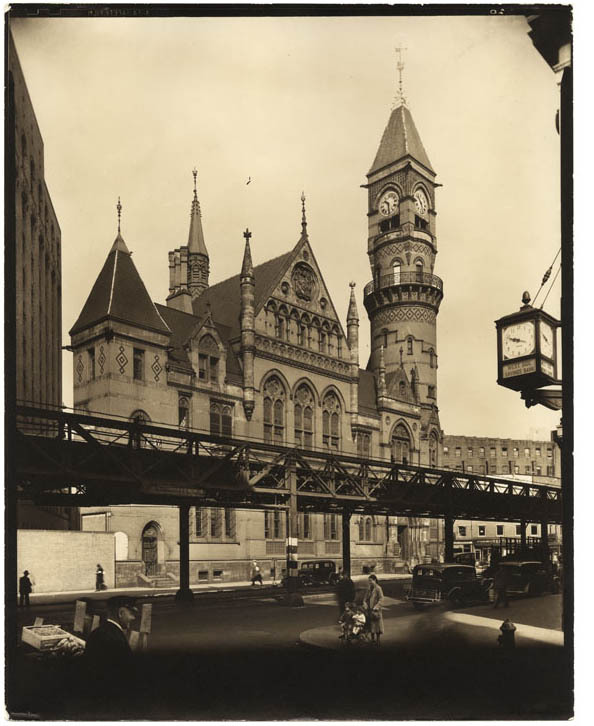 Bernice Abbott: Changing New York. The exhibition will be open from September 22 - October 29, 2018 in our second floor gallery. Bernice Abbott was born in Springfield, Ohio, on July 17, 1898. She attended Ohio State University in Columbus with the goal of being a journalist but left after one year and moved to New York City. In the city she joined several friends associated with the Provincetown Players in Greenwich Village, where she worked small parts in plays and did modeling to support herself. Photography was not on her agenda at this time; her dream was to be a sculptor. Working as a model she posed for the photographers Man Ray and Nickolas Muray. She became close friends with Man Ray, who later on would bring her into photography. During the late teens in New York, she also participated in Dadaist publications and met Marcel Duchamp. Abbott was seeking creative freedom, New York City and most of America did not offer that to women at the time. In 1921 after her recovery from influenza, she moved to Europe and studied sculpture in Berlin and Paris. In 1923 she was living and looking for work in Paris. Her friend Man Ray hired her to be his assistant in his photographic studio. Abbott took to the new medium of photography quickly. Man Ray introduced her to other photographers including Eugène Atget, whose photographs of Paris captured her interest. In 1926 Berenice Abbott had her first single artist exhibition and opened her photographic studio in Paris. She was successful. Some of her portrait commissions included James Joyce, Jean Cocteau, Peggy Guggenheim, and Eugène Atget. She photographed Atget just before his death in 1927 and soon thereafter acquired his estate of photographs and negatives. 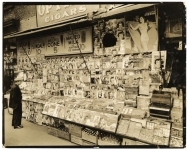 Berenice Abbott returned to New York in 1929 to find a publisher to document the work of Eugène Atget. 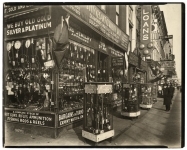 Finding a publisher proved difficult; however, Abbott found that New York City had changed dramatically in the years that she had been in Europe. She became captivated with the city and wanted to document it as Atget had done in Paris. She sought a backer for her ambitious project to photograph New York City, a project she called “Changing New York.” She acquired a Century Universal camera which makes a large format 8x10-inch negative. She then worked on the project while looking for financial support for the project. In 1933 she was hired to teach photography at the New School of Social Research. In 1934 the Museum of the City of New York gave her a single artist exhibition. This exhibition led the Federal Art Project, a division of the WPA, to hire her as supervisor for her “Changing New York” project. 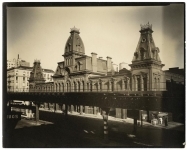 The Museum of the City of New York was to receive the negatives and Abbott hired assistants to document the locations and print from the negatives. Most of the prints are contact prints from the 8x10-inch negatives. On a rare occasion in the 1930’s, enlargements were made. The Century Universal 8x10-inch camera is not an easy piece of photographic equipment to use. The support equipment is heavy and the set up time for a shot is lengthy. However, the image quality that a large format camera offers is unsurpassed. 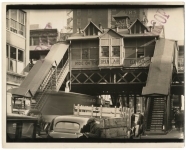 Abbott shot 695 negatives of 307 locations in New York City between 1935 and 1939. The negatives and many prints from the Federal Art Project are in the Museum of the City of New York. 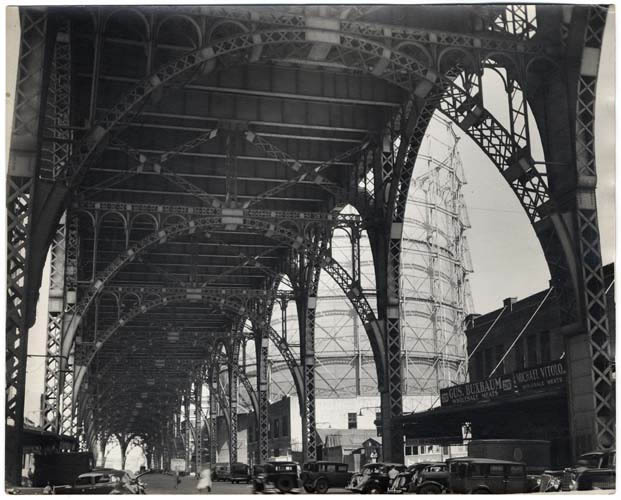 As an artist, Berenice Abbott combined her early training, interest in the Dadaist movement and sculpture, and how to look at a three-dimensional form in a two-dimensional format. She carefully chose her subjects and composed them to show her opinion of the subject. As is usual with a large format camera, she took several shots, often moving the camera slightly to get a different angle. Changing New York was published in 1939. Abbott chose ninety-seven of her 695 negatives as images in this publication. Descriptions were written by her close friend, Elizabeth McCausland, and the book was published by E. P. Dutton & Co. She then resigned her position in the Federal Art Project. Pawn Shop 48 3rd Avenue, Manhattan.